Considering how absolutely vital your hydraulic pump is to your equipment, naturally you want to choose a durable, reliable pump that you can count on to keep your equipment running. However, you may also need to consider your budget and the need to keep your operational costs reasonable. With Oilgear hydraulic pumps in Ontario CA, you get the best of both worlds: unmatched performance even in demanding conditions, with a low operational cost. Bottom line? You get to enjoy superior performance with a low total cost of ownership, simply by choosing Oilgear hydraulic pumps in Ontario CA. There are plenty of places to shop for hydraulic parts, but few offer the level of service and the assurance of quality you get at Bernell Hydraulics. Our sales staff knows Oilgear pumps, and we can help you get genuine parts that will meet your needs for speed, pressure, displacement, etc. If you are shopping for Oilgear hydraulic pumps in Ontario CA, you have the option of local delivery for your new parts. It may also be convenient for you to come to one of our store locations. However, if you prefer we are also happy to ship your parts to you. 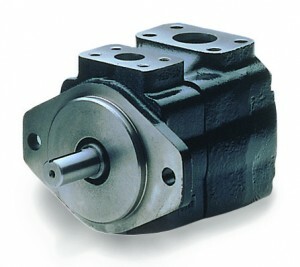 Need Help With Your Oilgear Hydraulic Pumps in Ontario CA? Bernell Hydraulics isn’t just an excellent place to shop for new Oilgear hydraulic pumps in Ontario CA. We also provide expert hydraulic repairs. Our technicians have made excellent use of the aftermarket legacy resources provided by Oilgear and are now able to troubleshoot and repair any make or model of Oilgear pump.